This is my 100th post. So I wish to celebrate this with a delicious dessert! Of course, it is not an Indian dessert. It is a traditional Middle Eastern (Arabic) dessert made of semolina flour, yogurt, and coconut. I took the original recipe from here. I didn’t make many changes to the original recipe. I just used cashews instead of almonds as suggested in the recipe. I also reduced the amount of time to 30 minutes instead of 40-45 minutes as suggested in the recipe. Everything else remained the same. Spread the prepared batter into a greased 8 inch square baking dish, smoothing the top as much as possible. Decorate the top with cashews. When the basboosa has finished baking, pour the syrup over it as evenly as possible. Place it back in the oven for about 5 minutes, or until the syrup has been fully absorbed. Let rest for about 20 minutes before cutting into pieces and serving. I must say, this is a very delicious dessert. It is little tangy in taste due to the added yogurt and lemon juice, but the sugar suppresses most of the tanginess and tastes great. I am glad that I found this recipe and shall make it so frequently. As this recipe belongs to Middle Eastern cuisine, it flies off to Siri’s AWED: Middle Eastern Cuisine. A Worldly Epicurean's Delight (A.W.E.D), an event initiated by Dhivya of Culinary bazaar. And as this dessert contains yogurt in the ingredients, it also makes its way into the 'Frozen Yogurt' - A Cool Summer Event, over at Siri’s. And also this dessert contains coconut in its ingredients, so entering the “AFAM – Coconut” event being hosted by Suganya of Tasty Palettes. So three events with one entry! Have a good day friends! Congrats on the 100th post..basboosa dessert looks delicious. Congrats with the century post. And three in one. You have almost done now with all the events. Congrats on ur century. Let 's celebrate with sweet :) Looks delicious! Congrats on ur 100th post Uma.. and peru bhale undi.. looks yum yum!! Thanks for such ayummy entry! Love this basboosa, very nice recipe and looks divine, mouthwatering, jus great!!! Never heard of this sweet Uma. It looks so good and very simple to make also. But one question, does it have too much tanginess because of the yogurt and lemon? Or is it just plain sweet? Even I have started to cook keeping in mind the various events. 100 posts already? Cool! Basboosa sounds good and looks even better. very interesting. Congrats on your 100th post.....hope u reach great heights..this sweet looks delicious,perfect century post.. Congratulations!!!! May you have a 100 more! All the cooking events you entered, LOL! You are truly a mastermind! Congrats on ur 100 post !! Wow, wat a nice recipe, never heard of it earlier, looks wonderful Uma !! Great one ercipe for 3 events.. !! Hi Uma, thanks for your comments! You have posted quite a lot of recipes.. that's great! I saw your latest cake recipe and it seems like all the ingredients are always available in our pantry.. will give it a try sometime.. congrats on your century!! Congrats, Uma. 100 posts in just a couple of months! i absolutely love this sweet. thanks for reminding me. congratulations on your 100th post. THis is a new sweet for me. Thanks for sharing. looks awesome! Congratulations for making Century within a short time with so much encouragement from the fellow bloggers and also the awards. 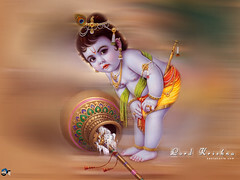 Wish you to go for many more centuries with the same spirit and energy. Good Luck. mmmmm 100th post...thats great..love the dessert...am going to try this..sounds delicious..
Uma ,too good,Oh my god it looks so delicious and thanks for sharing a wonderful dessert.Bookmarked. 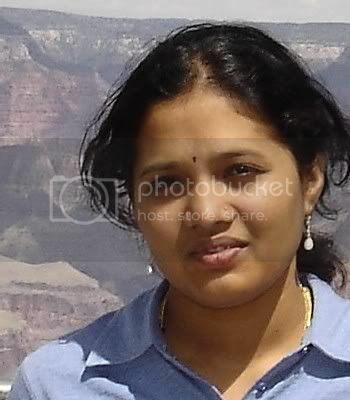 Hi Uma - 100th post is a great milestone for sure.. Congrats! Your recipe looks so yummy and sounds very unique. I will definitely try soon. This looks like a very easy dessert with almost all Indian ingredients. Will definitely try this. I have some guests coming over for dinner this weekend and I was looking for something different to make for dessert. Looks like my search is over. Do you think this would go well with a dollop of ice cream ? Just a thought. congrats on the 100th post. Great dessert with all easily available ingredients. Three events in one post. Good. congrats on the 100th post and also the prize for fortune cooking. kotha recipe bavundi uma. nenu e weekend ki try chestanu. kudos on the 100 mark Uma! Congratulations on your 100th post!!! The dessert sounds tasty! Basboosa is a wonderful desert, and this looks so delicious..
congrats on 100 post , may you score another 1000 ..LOL..
Uma a little late , But congratulations and hope to see many more recipes down the lane. Keep up the great work!